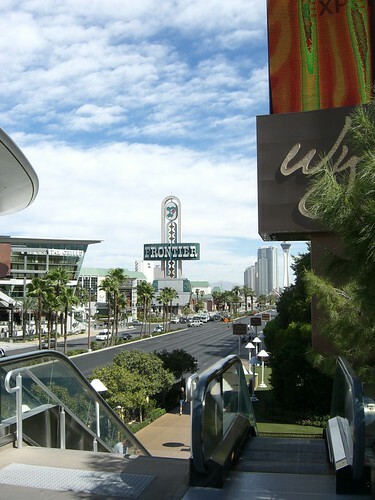 Everyone knows that the cheapest place to shop in Las Vegas is the outlet stores with the credit crunch on there is even more need to save money. Ralph Lauren are offering a further 20% discount on their all ready heavily discounted goods click here or on the image for a voucher to print that will give you 20% off your ENTIRE purchase when you but a combination of 3 or more timeless items, Cotton Woven Shirts, Polo shirts or chinos from either the men or women’s range or a combination of both. This offer is valid February 12 – February 25 2009. Bellagio Queen of the Las Vegas Strip !! 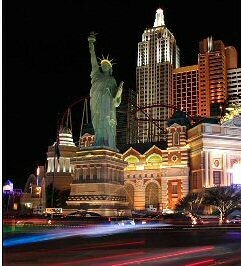 Location Center Strip next to Ceasers oppersite Paris could not really be any better. Theme Well it’s amazing! Theme based on a northern Italian Village on the shores of Lake Como, did I say on the shores? Well they built the lake as well but missed out the usual beaches that you would find in Italy. The theme doesn’t stop at the village you can see across the lake; the shopping arcade has a very Italian feel to it. As does the pool that you would not be surprised to find in a very upmarket Tuscany Villa. The only thing that does not fit in with this theme is the completely over the top luxury, this is just not found in Italian Villages! 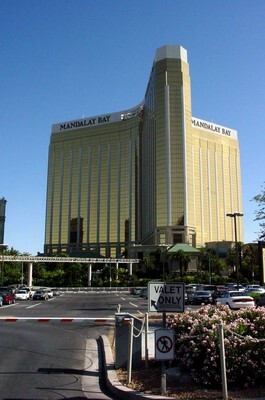 I must admit though the two themes added together do work well for the well-heeled patrons of the magnificent Bellagio. Attractions Bellagio is stacked full of attractions all slightly different from the usual ones that are aimed at getting you through the doors of a Strip casino. You will not find a rollercoaster or a fire breathing dragon here, you will however see the Bellagio gallery of fine art holding some of the world’s most expensive pictures in it including Van Gough‘s sunflowers. The biggest, most obvious and voted the best freebie on the Strip is the dancing fountains, these are brilliant. Over 1200 water cannons shooting water 240 ft in the air and “dancing” to a variety of music from Sinatra to Pavarotti. The glass mural roof above the check in desk is not to my taste, but I can see attraction, 3D flowers, which must have cost no small fortune. There is a lovely glass domed conservatory housing thousands of exotic flowers and plants. The displays in the conservatory change with the seasons and seem to get better each year well worth a visit. Shows and Entertainment Bellagio is home to Cirque De Soleil’s “O” this was the first Cirque show to come to Vegas and is preformed in water ! “Cirque du Soleil® weaves an aquatic tapestry of artistry, surrealism and theatrical romance in the timeless production, “O™.” The international cast of world-class acrobats, synchronized swimmers, divers and characters perform in, on, and above water to create a breathtaking experience in a magnificent theatre reminiscent of a European opera house.” With names such as Hermes, Rolex, Tiffany and Chanel my wife and I assume many others find the upmarket stores here great entertainment. Dining The buffet has been crowned king of the strip but at $27.95 going up to $35.95 at weekends for dinner it crowns the pricing as well (B$14.95, L$19.95 and $28.95 for Sunday Brunch with champagne). The no children rule here is strictly enforced ensuring that little fingers are kept out of such delights as crab claws, venison and duck breast offerings. We did not find a food court as such but a very good coffee shop opposite the swimming pool. Bellagio has a host of gourmet restaurants with prices to match; many of these are situated around the lake providing the best possible view of the fountain shows. Bellagio Picasso’s Mediterranean restaurant must be mentioned as it has only original Picasso’s on its walls, they are lesser known works and not anything special but its typical of the Bellagio “money no object” policy. Gaming It’s big but seems quieter than most other Casinos on the Strip. 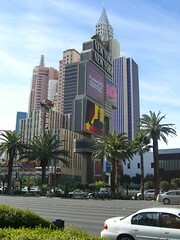 The tables are canopied and the limits are higher than elsewhere on the Strip with the minimum often $25. There are not as many slot machines here and the ones that there are have the volume reduced on them and the pay out trays even seem quieter. The Bellagio does not have very many nickel machines but a does have a good selection of quarter upward machines. The casino, like the shopping arcade, is over run by security guards. 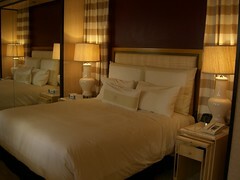 Overall For well heeled patrons who want that ultimate luxury; this is your place. Everything here is the very best that money can buy. Great theme and magical fountains a very different affair from many of her rivals. Though I some say tha Bellagio has lost its crown to Wynn ! Most of the packages in both the Las Vegas Wedding Chapels and the Las Vegas Resort Chapels will include a photographer and some prints, some will give you a CD of digital photographs and others the film. If you wish to have additional professional photographs taken you can either arrange this with the Chapel or you can hire a photographer. The prices vary greatly but the least that you should expect to pay is around $1000. Here is a list of photographers in the Las Vegas area, most if not all offer a wedding service. Please be aware that unless otherwise stated we have no experience of these photographers nor of the quality or professionalism of either them or of their services. If you want your friends and family to take the photographs then this book will teach you “how to photograph a wedding”. It is intended to be bought by people setting up as professional wedding photographers and will show you all the tricks to take great wedding photos, it even comes with a 100% money back guarantee if you are not totally satisfied. Telephone: (702) 436-5710 Allen Photographers, Inc.
Telephone: (702) 293-6040 Jodi Lynn Studios, Inc.